We asked about almost 200 students, coming from both high school and college, to share what is most important to them in their college search and campus experience. The graph below shows their answers (most students listed multiple things, which is why it doesn't add up!). Plus, we included a bunch of their specific reasons below. Overall, students were more worried about paying for college than anything else (no big surprise there), but they also said higher education was important for age-old reasons like expanding their world-view by meeting new people, challenging themselves, and just learning all they could. But this was balanced with practical stuff like gaining real-world skills and experience, along with networking and career support. 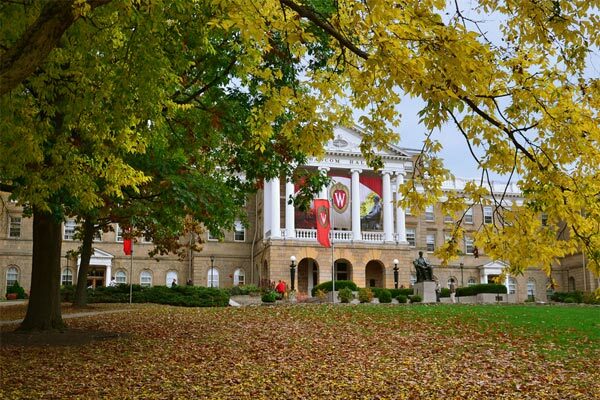 Only one person said getting good grades was the most important part of going to college. How do your college priorities stack up? What's most important to you? 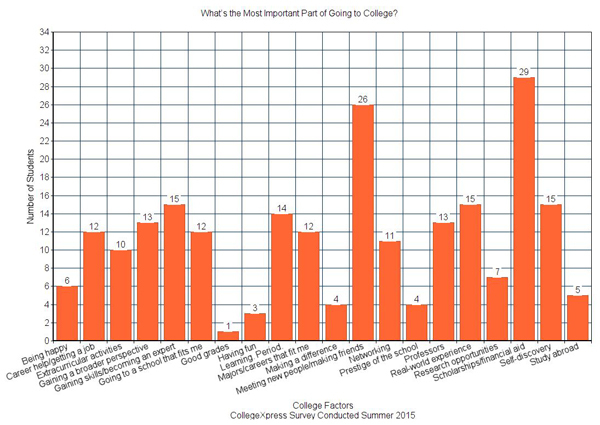 What’s most important about college to these students?